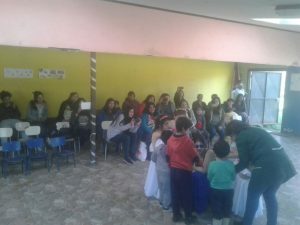 At the Koyam P-431 school in the rural area of Cunco Chico (Araucanía/Chile), a campaign for reforestation of the Ñuke Mapu (Mother Earth) has been launched. 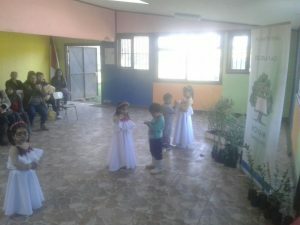 Inspired by the idea of respect for the environment and highlighting the rights of Mother Earth as a living being, students and parents received native trees from Koyam school educators to plant them in their homes and care for them to allow their growth, which is linked to the improvement of our community life and the search for Küme Mogen (good living). The Learn2Change-network and ist member organisation Küme Mogen Indigenous Savings and Loan Cooperative are supporting this initiative, celebrating the worldwide awareness of the need to use native plants to arborize places damaged by the excessive felling of millenary trees that will allow the recovery of water, spirit and identity. 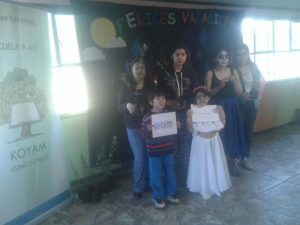 During the Summer Academy of Learn2Change, the idea of a worldwide tree-planting and educational project was developed, in Chile the first step has now been taken.